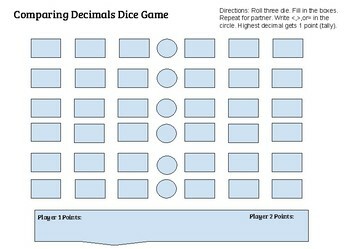 Comparing Decimals Dice Game- Simple Directions! I made this for my 5th grade math kids! This could easily be used for lower or higher grades as it reinforces skills with ordering and comparing decimals.